Why go out late on a work/school night, stand in the cold, and brave the crowds only to be met by disappointment when the guy in front of you takes the last Deathtrooper Black Series figure? There is another way--order online! 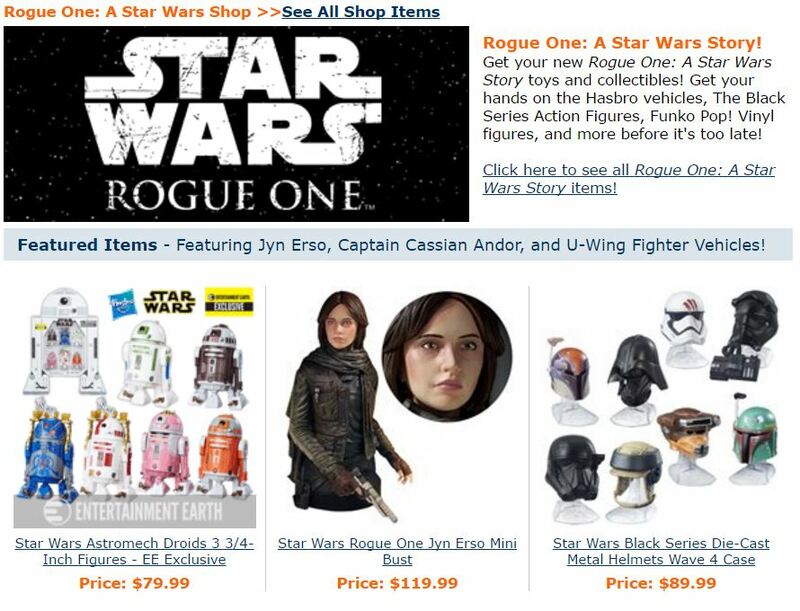 Entertainment Earth just put up all the new Rogue One toys for order--and here's a directory for each!